If you are only going after the volume of traffic that your website attracts, you are doing search marketing wrong. It is about getting the right kind of people to your website, and keep increasing the volume of these right people. Keywords are the lynchpin for getting this job done, which is why enough time needs to be spent on SEO keyword research. Before you pick up any keyword research tool, use your common sense. Come up with a list of 50 keywords that are relevant to your website. For instance, if you are a real estate consultancy, some pertinent keywords could be “real estate firm“, “property consultants“, “property consultants online“, and “real estate brokers“. Key in the search phrases on Google. See if paid ads come up alongside search results. Number of ads signals that the phrase is very competitive. It will probably take you some time to rank for that keyword or phrase. When you make a list of keywords using only your common sense, you are likely to come up with most competitive keywords. Shortlist at least 20 at this stage that you find really competitive. Long tail keywords are an essential part of any search marketing strategy. Long tail keywords are specific keywords that have a higher conversion rate. Their higher conversion is because people with such search queries are often deep in the buying cycle. For instance, “running shoes” is probably keyed in by someone who is only researching the variety of running shoes out there. However, someone who searches for “running shoes online best price” is most probably very close to buying running shoes. Another reason to have lots of long tail keywords in your search marketing plan is they make up the majority of search traffic online. While the volume of search traffic may be higher for more generic keywords, long tail keywords are higher in percentage, which translates to more plausible leads for your business. That’s why it is important to have a diverse range of long tail keywords in your search engine marketing account. That’s where keyword research tools help. Google has its free Keyword Planner, which you can use to generate ideas for keywords, key phrases, and ad groups. Keyword Planner is a good starting point and if you are a beginner, it should suffice for your initial search marketing efforts. 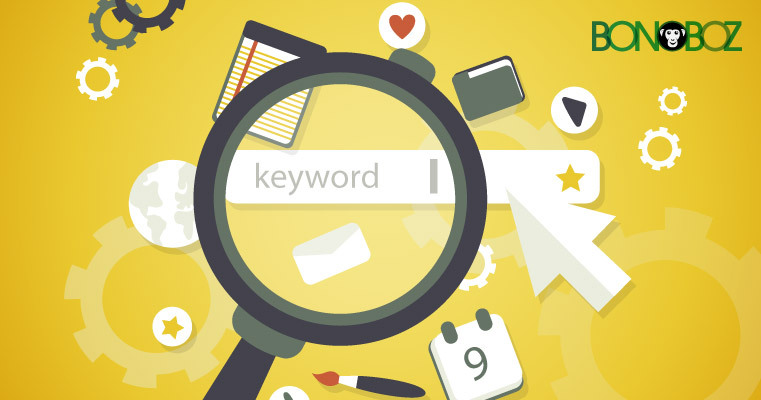 However, if you are looking for metrics to decide which keywords to use in your campaign, you will probably need to upgrade to a better keyword research tool. Wordstream’s free keyword tool is highly regarded by digital marketing experts. A key feature of Wordstream’s free keyword tool is the relative volume. It shows you the frequency of each keyword or keyphrase. There is also Moz Keyword Explorer, which gives you an idea of how difficult it will be to tank for a particular keyword. That can be a great help when deciding between which keywords to keep and which keywords to reject. The number of really competitive keywords in your campaign will depend on your budget and where you are in your search marketing efforts. For instance, if you are just starting out with SEO and search marketing, it is prudent not to keep too many competitive keywords in your campaign. By this stage, you should have a fairly extensive list of keywords that are relevant to your business. The next task is to find out really valuable keywords in your campaign since these are the ones you will be the spending the most on. Unfortunately, there is no easy way to do it. You have to spend a little money and a lot more time to find out valuable keywords in your list. Start by identifying keywords that you think are most likely to bring in maximum business for you. Run a paid test campaign for about 5,000 impressions. Look at the click-through rate, conversion rate, and the total profits accrued. For instance, if the test campaign fetched a click-through rate of 4%, that would mean 20 visitors to your website. If 5 people bought something, it would translate to a conversion rate of 25%. Assuming that the total purchases amounted to a profit of $100, it would mean that each lead for that particular keyword is worth $5. In this case, you are looking for a very valuable keyword that you should definitely target in your search marketing efforts. It is important that you compare data from your test campaign against average industry numbers to arrive at an informed decision. The trial-and-error bit of search marketing is an ongoing process. However, it is vital if you want to spend your budget wisely. Once you have run a test campaign for 10 keywords and shortlisted at least 5 keywords, to begin with, your search marketing efforts can begin in true earnest. While you try to rank for valuable long tail keywords, keep improving your keyword research to include long tail phrases that can bring in substantial business. Next Next post: Why Should Outsource Search Engine Optimization Work?